KRK: 11 films releasing on 22nd JulyMadaari, Love Ke Funday, Ishq Click, M Cream, M. A. Pass, Dirty Story, Red Rose, Female Express, Kabali etc. Kareena Kapoor SonamKapoor starrer Veere Di Wedding delayed? 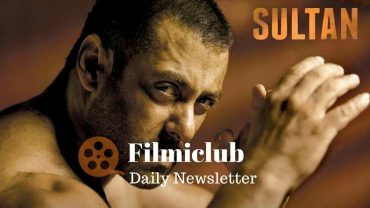 Sultan packs 34.07 cr in Weekend 2, which is SUPER… [Week 2] Fri 7.43 cr, Sat 11.46 cr, Sun 15.18 cr. Total: 263.23 cr. OVERSEAS Till Weekend 2: $ 20.30 million [136.33 cr]. FANTASTIC! Kareena Kapoor Khan said that she is pregnant and not a corpse, and even questioned why everyone was interested about her maternity leave. Neeraj Pandey’s next production venture which stars Taapsee Pannu in the lead role will now apparently have Akshay Kumar playing a cameo. Has Vicky Kaushal walked out of Sanjay Leela Bhansali’s Padmavati? Vasan Bala the writer of ‘Raman Raghav 2.0’ and ‘Bombay Velvet’ has apparently roped in newcomer Abhimanyu Dasani, the son of ‘Maine Pyar Kiya’ actress Bhagyashree for his upcoming project. The director has a script of a thriller movie which will reportedly start rolling by the year end. Ali Abbas Zafar’s next to be a war film ? Sanjay Dutt: Salman is like my kid brother, don’t create controversies about us.